It’s “The World’s Largest Cruise Sale!” Or, at least it’s billed so by the Cruise Lines International Association. For the past six years CLIA, the cruise line’s trade association, has organized 24 hours of cruise discounts and promotions on one day in October. This year, they decided to do seven times better by launching National Cruise Vacation Week. Time was, you used to be able to get ultra-cheap air fares if you flew standby. You’d buy a special standby ticket and show up at the airport. If there were room on the plane you’d get on; if there wasn’t you didn’t. The idea being that an airline would rather get a little bit of money for a seat than fly with it empty and get none at all. Though some airlines still sell full-fare standby tickets, the days of them being deeply discounted are no more, sadly. Happily, the standby concept might be taking hold in another travel industry: cruises. Luxury operator Crystal Cruises is now offering deals to those willing to be a bit spontaneous with their vacation. It seems there are always cruise deals of some sort to be found. But with the industry trying to jumpstart travel as the world economy rebounds, there are some especially good cruise deals to be found right now. Here’s our selection of a few sales on cruises to the Bahamas, to the Caribbean and to Europe. 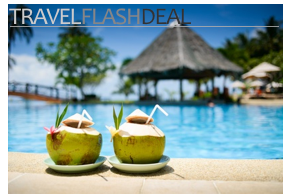 As always, you can see our latest collection of discounts by visiting our travel deals archive or subscribing to our RSS feed. Please note: All of the offers below are valid for a limited time only. In fact, all require booking before the end of March 2010 at the latest, though most allow for travel after that. Close your eyes and picture this: You’re on the Christina O(nassis) with Jackie-O and Ari sailing the Greek Isles. Oh Jackie-O this is marvelous. So cool. Cocktail hour and then a fabulous dinner of the freshest daily catch followed by great conversation. Ari did what! And laughter. Next a rousing game of charades with J & A. She’s so funny—who knew! Please don’t wake me. That exact scenario may be a dream but your ability to afford a luxury cruise may not be. Some of the best cruise promotions being offered today are in the premium market. Premium sailings serve up the good life and a whole lot more. Luxury cruises are capturing a younger, more sophisticated yet less stuffy crowd. While mass market cruise lines carry 2000+ passengers, making it hard from them to indulge passengers with fine dining and highly personalized service, luxury cruises offer a more upscale and intimate environment. And who doesn’t want a little more luxury and a little more pampering on their vacation? A year ago we would not have been able to say premium cruising is affordable. Now we can say: Luxury is affordable and you can go on a luxury cruise. I can, yes I can! And I will!